One of the most rewarding parts of being in the SOS Children’s Village family is seeing all the success stories. It is truly heartwarming to see children who grew up in the village return regularly, which is testament to all those working at SOS. Not every success story is completely smooth however, and Janith’s is an example of someone who has overcome immense hardship. Little Janith lost his parents in a tragic accident and was adopted by his relatives. However he was traumatized and had a number of behavioral issues. Sadly this proved too much for his relatives to handle, and they could not care for him anymore. The Department of Probation and Child Care decided that Janith should be placed in the care of the SOS Children’s Village Sri Lanka. Adjusting was not easy for this young boy; he felt abandoned and had difficulty socializing. However the time and effort was put in to make sure he knew that he now had a permanent, loving home and within a few months, Janith himself believed this. Once he had adjusted socially, it became clear that he was a very clever young boy. 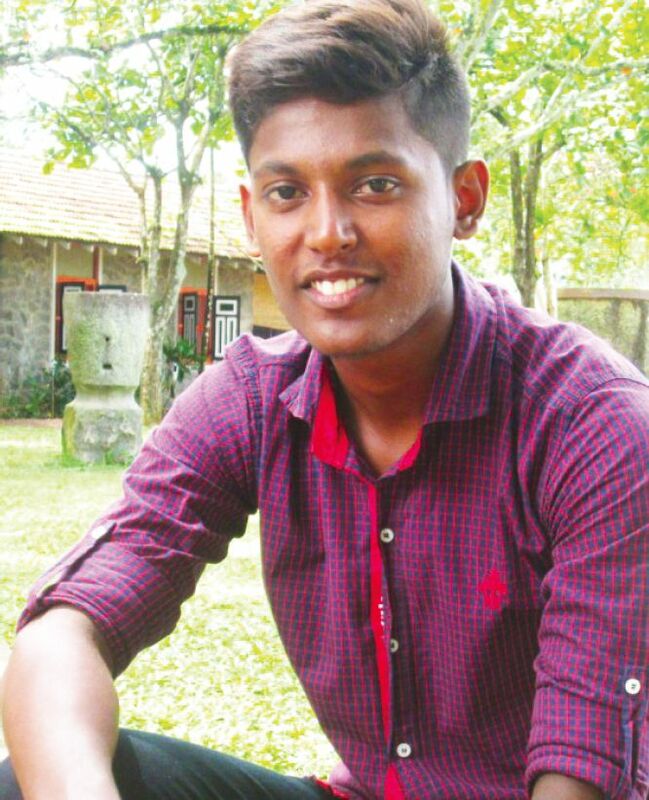 Janith did well academically and studied up to GCE O Level. He then decided that he wanted to take a beauty culture course at the Youth Centre! Upon finishing this course, he found himself a training position in a nearby salon. Janith has now achieved one of his own dreams. He is the proud owner of his very own beauty salon! Janith is also happily married and visits his SOS mother at least once a month. His is truly a story of turbulent journey with a very happy ending. At SOS Children’s Villages not only the children get a happy ending but also the mothers who commit their lives to a task which they carry on for a few generations. Janith’s mother Mala also was one of those SOS mothers, who came to SOS to become a mother when she was 25 years old. Ever since Mala came to SOS Children’s Villages to be a mother she never looked back. “At that age, my parents were looking for marriage proposals for me; but I wanted something more. I wanted to give back something to the society. Other than me getting married and having a family I wanted to do something. Just as to support my thought SOS was calling for ladies who are not committed to be SOS mothers through a paper advertisement. I didn’t hesitate I came for an interview. I got selected and next time when I came to SOS it was to become a SOS mother! I was a part of the group who were selected first to be SOS mothers. We had to go through extensive training about children’s phycology, how to bring up a family with children from dierent backgrounds and so on. 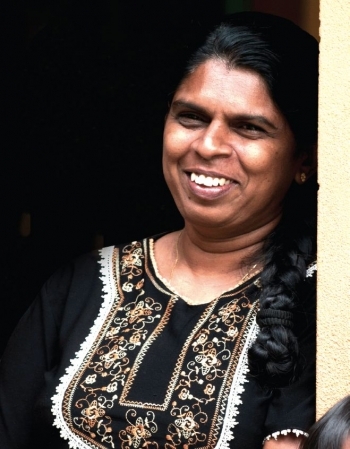 Mala is now 60 years old and a retired SOS mother in SOS Children’s Villages Sri Lanka. She has seen 4 generations and now enjoying the company of grandchildren when they come to see her at the SOS Village. “I don’t regret being a SOS mother even for a minute. I could have married and raised my own children but I consider what I did more satisfying than raising my own family. I have raised 20 children and have recently become great grandmother at 60. What more happiness can I gain? I have been a mother to children who at one point lost everything. That is much more of an accomplishment to me than anything else in the world” Mala says with such pride. There are many more mothers like Mala at SOS Children’s Villages. Most of their life story remains the same or sometimes there is more to add about the children and their journey which they started at SOS Children’s Villages together. The life which is given at SOS Children’s Villages is not only for the children but also to courageous women who have committed their lives to become SOS mothers. Sponsor a child in Sri Lanka and make a difference in a child's life today!